November 21, 2009 – CWF Mid-Atlantic: Team Sindicate (Evan Banks, Hugh B. Johnson, Justin Duke, Michael McAllister and Trevor Lee) defeated Team Fatback (Brad Stutts, Corey Edsel, Matthew de Nero, Mitch Connor and Nick Richards) in a tag team elimination match. December 5, 2009 – CWF Mid-Atlantic: Nick Richards and Roy Wilkins defeated Hugh B. Johnson and Trevor Lee. January 15, 2010 – CWF Mid-Atlantic: CWF Mid-Atlantic Rising Generation League Roo D-Lewis defeated Trevor Lee to retain the title. January 16, 2010 – CWF Mid-Atlantic: Chase Dakota defeated Trevor Lee. February 6, 2010 – CWF Mid-Atlantic: The Canadian Mercenary 3 and Trevor Lee were in a 16 team battle royal won by Arik Royal and Roy Wilkins. February 19, 2010 – CWF Mid-Atlantic: Chiva Kid defeated Roo-D Lewis and Trevor Lee in a 3-way elimination match. February 20, 2010 – CWF Mid-Atlantic: Chiva Kid defeated Canadian Mercenary 3 and Cecil Scott and Cedric Alexander and Evan Banks and Michael McAllister and Hugh B. Johnson and Patrick Wright and Trevor Lee in a 9-way elimination match to become #1 contender for the TV title. February 27, 2010 – PWX: Nick Richards defeated Chiva Kid, Matt Smith and Trevor Lee in a 4-way elimination match. March 6, 2010 – CWF Mid-Atlantic: Chase Dakota and Matt Smith defeated Cecil Scott and Trevor Lee, Cedric Alexander and Roo-D Lewis & Evan Banks & Michael McAllister in a 4-way tag team match to become #1 contender for the tag team titles. March 19, 2010 – CWF Mid-Atlantic: Trevor Lee defeated Roo D-Lewis to win the CWF Rising Generation League title. March 20, 2010 – CWF Mid-Atlantic: Otto Schwanz and Roo-D Lewis defeated Evan Banks and Trevor Lee. April 3, 2010 – CWF Mid-Atlantic: Chase Dakota and Matt Smith defeated Joey Silvia and Trevor Lee. April 16, 2010 – CWF Mid-Atlantic: CWF Rising Generation League champion Trevor Lee defeated Matt Smith to retain the title. April 17, 2010 – CWF Mid-Atlantic: Brass Munkey, Kamakazi Kid and Lee Valiant defeated Team Destiny (Coach Gemini, Joey Silvia, Steve Greene, Trevor Lee and Ty Dillinger) in a handicap match. May 21, 2010 – CWF Mid-Atlantic: Matt Smith defeated Trevor Lee 5-3 in a 30 minutes iron man match. June 5, 2010 – CWF Mid-Atlantic: Lee Valiant defeated Arik Royal and Canadian Mercenary 3 and Cecil Scott and Chase Dakota and Chiva Kid and Donnie Dollars and Evan Banks and Kyle Mack and Matt Smith and Rob McBride and Roy Wilkins and Trevor Lee and Ty Dillinger in a Torneo Cibernetico. June 18, 2010 – CWF Mid-Atlantic: The 3 Man Boy Band (Caleb Konley, Cedric Alexander and Roo-D Lewis) defeated Ray Kandrack, Trevor Lee and Ty Dillinger in the semi-finals. June 19, 2010 – CWF Mid-Atlantic: Michael McAllister defeated Canadian Mercenary 3, Cecil Scott, Cedric Alexander, Justin Duke, Roo-D Lewis and Trevor Lee in a 7-way match to become #1 contender for the TV title. July 9, 2010 – CWF Mid-Atlantic: CWF Rising Generation League champion Trevor Lee defeated Chiva Kid and Matt Smith in a 3-way to retain the title. February 4, 2011 – CWF Mid-Atlantic: PWI International Trios champions Cecil Scott, Chase Dakota and Mecha Mercenary defeated Ben Tyler, Roo-D Lewis and Trevor Lee in a best 2 out of 3 falls match to retain the titles. February 5, 2011 – CWF Mid-Atlantic: Ric Converse and Xsiris defeated Trevor Lee and Chiva Kid. March 5, 2011 – CWF Mid-Atlantic: Chiva Kid, Joe Black, Nick Richards and Trevor Lee defeated Michael McAllister, Roy Wilkins, Ty Dillinger and Walter Eaton. March 18, 2011 – CWF Mid-Atlantic: Lance Lude defeated Chris McVey, Matt Smith and Trevor Lee in a 4-way match. March 19, 2011 – CWF Mid-Atlantic: Kamakazi Kid defeated Aric Andrews, Chase Dakota, Chiva Kid, Joe Black, Lance Lude, Matt Smith and Trevor Lee in a 8-way elimination match. April 1, 2011 – CWF Mid-Atlantic: Nick Richards defeated Trevor Lee. April 15, 2011 – CWF Mid-Atlantic: Roy Wilkins defeated Trevor Lee. April 16, 2011 – CWF Mid-Atlantic: Kamakazi Kid defeated Joe Black, Nick Richards and Trevor Lee in a 4-way elimination match to become #1 contender for the PWI Ultra J No Limits title. May 13, 2011 – CWF Mid-Atlantic vs. Chikara: Ophidian (Chikara) defeated Trevor Lee (CWF Mid-Atlantic) in the best of 5 series match up #3. May 14, 2011 – SCWA: SCWA tag team champions Chris Phoenix and JT Smooth defeated Trevor Lee and Joey Silvia to retain the titles. May 21, 2011 – CWF Mid-Atlantic: Trevor Lee defeated Ben Tyler. June 4, 2011 – CWF Mid-Atlantic: Donnie Dollars and Nick Richards defeated Trevor Lee and Ben Tyler. June 18, 2011 – CWF Mid-Atlantic: Trevor Lee was in a 8 man battle royal to determine the #1 contender for the TV title won by Mikael Yamaha. July 16, 2011 – CWF Mid-Atlantic: Mark James defeated Trevor Lee. August 20, 2011 – CWF Mid-Atlantic: Mikael Yamaha defeated Aric Andrews, Ben Tyler, Cecil Scott, Chase Dakota, Joe Black, Roo-D Lewis and Trevor Lee in a 8-way match to become #1 contender for the TV title. September 2, 2011 – EVO: Arik Royal defeated Trevor Lee. September 3, 2011 – CWF Mid-Atlantic: Joe Black and The Chiva Kid defeated Ben Tyler and Trevor Lee. September 16, 2011 – CWF Mid-Atlantic: 7OH!4 (Caleb Konley and Cedric Alexander) defeated Ben Tyler and Trevor Lee. Ben Tyler and Trevor Lee defeated Robyn Golphin and Terrell Givens. September 17, 2011 – CWF Mid-Atlantic: Bobby Wohlfert and Devin Dalton defeated Ben Tyler and Trevor Lee. October 8, 2011 – EVO: Ben Tyler and Trevor Lee defeated Chiva Kid and Joe Black. December 10, 2011 – PWX: Adam Page and The Chiva Kid defeated Ben Tyler and Trevor Lee. December 17, 2011 – CWF Mid-Atlantic: Amber O’Neal and Caleb Konley defeated Becky Bayless and Trevor Lee. January 7, 2012 – CWF Mid-Atlantic: Jason Miller, Mark James and Mikael Yamaha defeated Ben Tyler, Ric Converse and Trevor Lee. January 13, 2012 – EVO: Kirby Mack defeated Ben Tyler, Chiva Kid, Joe Black, Robyn Golphin and Trevor Lee in a 6-way match. January 21, 2012 – CWF Mid-Atlantic: Adam Page and Nick Richards defeated Ben Tyler and Trevor Lee. February 10, 2012 – PWX: Grizzly Redwood and Jake Manning defeated Trevor Lee and Ben Tyler. February 25, 2012 – PWX: Chip Day, Corey Hollis and The Chiva Kid defeated Ben Tyler, Drew Myers and Trevor Lee. April 29, 2012 – EVO: Ben Tyler vs. Trevor Lee ended in a draw. May 12, 2012 – EVO: Ben Tyler and Trevor Lee defeated Arik Royal and Joe Black. June 30, 2012 – EVO: Ben Tyler and Trevor Lee defeated Chip Day and Corey Hollis. September 22, 2012 – CWF Mid-Atlantic: Trevor Lee defeated Donnie Dollars to win the CWF Mid-Atlantic TV title. December 29, 2012 – CWF Mid-Atlantic: Mid-Atlantic TV champion Trevor Lee defeated Brad Attitude to retain the title. January 15, 2013 – OMEGA: CWF Mid-Atlantic TV champion Trevor Lee defeated The Chiva Kid to retain the title. February 2, 2013 – National Pro Wrestling Day: Arik Royal and The Chiva Kid defeated Trevor Lee and Ric Converse. March 7, 2013 – FSPW: Trevor Lee defeated Cedric Alexander in the 1st round. Trevor Lee defeated Chris Lea in the semi-finals. The Kamikaze Kid defeated Trevor Lee to win the tournament and to win the vacant heavyweight title. March 16, 2013 – CWF Mid-Atlantic: Trevor Lee defeated The Chiva Kid. March 30, 2013 – CWF Mid-Atlantic: CWF Mid-Atlantic TV champion Trevor Lee defeated Caleb Konley to retain the title. May 4, 2013 – CWF Mid-Atlantic: CWF Mid-Atlantic TV champion Trevor Lee defeated Donnie Dollars by count-out to retain the title. May 24, 2013 – EVO: Trevor Lee defeated Anthony Henry. May 25, 2013 – OMEGA: Andrew Everett defeated Trevor Lee by disqualification. May 26, 2013 – PWX: Jake Manning and John Skyler defeated Trevor Lee and Elijah Evans IV in the 1st round. June 29, 2013 – PWX: PWX Innovative TV champion Chip Day defeated Trevor Lee and Corey Hollis in a 3-way to retain the title. 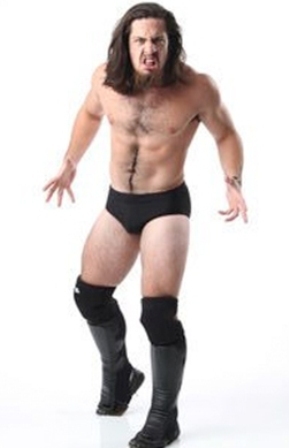 July 20, 2013 – CWF Mid-Atlantic: Trevor Lee defeated Roy Wilkins in the 1st round. July 27, 2013 – WIF! : The Baltic Siege (The Estonian ThunderFrog and The Latvian Proud Oak) defeated Roy Wilkins and Trevor Lee. August 3, 2013 – CWF Mid-Atlantic: Lance Lude defeated Trevor Lee. August 16, 2013 – PWX: Shane Strickland defeated Trevor Lee. August 17, 2013 – CWF Mid-Atlantic: Trevor Lee defeated Andrew Everett in the semi-finals. Trevor Lee defeated Lee Valiant to win the Johnny Weaver Memorial Cup. August 25, 2013 – FSPW: FSPW International heavyweight champion Shane Helms defeated Trevor Lee to retain the title. September 7, 2013 – CWF Mid-Atlantic: Trevor Lee defeated Roy Wilkins. September 21, 2013 – CWF: Chet Sterling and Trevor Lee defeated Arik Royal and Matty de Nero. October 5, 2013 – CWF Mid-Atlantic: CWF Mid-Atlantic tag team champions Kamikaze Kid and Lee Valiant defeated Trevor Lee and Chet Sterling to retain. October 12, 2013 – OMEGA: Trevor Lee defeated Chip Day. October 13, 2013 – FSPW: Trevor Lee defeated Joe Joe Dancer. November 17, 2013 – CWF Mid-Atlantic: Chet Sterling, Trevor Lee and Drew Myers defeated Aaron Biggs, Chris Lea and Lance Lude. Arik Royal, Donnie Dollars, Mark James and Matty de Nero defeated Chase Dakota, Jason Miller, Nick Richards and Trevor Lee in a 8 man tag team elimination steel cage war far rules match. December 7, 2013 – CWF Mid-Atlantic: Trevor Lee defeated Aaron Biggs. December 8, 2013 – FSPW: Chet Sterling and Trevor Lee defeated Joe Joe Dancer and LaBrone Kozone. December 28, 2013 – CWF Mid-Atlantic: CWF Mid-Atlantic heavyweight champion Arik Royal defeated Trevor Lee to retain the title. January 4, 2014 – Beyond Wrestling: Mark Candy defeated Trevor Lee. January 11, 2014 – ROH TV (Taped): Rik Matrix and Trevor Lee defeated Elijah Evans IV and Ethan Case in a dark match. February 8, 2014 – CWF Mid-Atlantic: Trevor Lee defeated Andrew Everett in a best 2 out of 3 falls match to win the PWI Ultra J No Limits title. February 9, 2014 – FSPW: FSPW heavyweight champion The Kamakazi Kid defeated Trevor Lee to retain the title. February 15, 2014 – CWF Mid-Atlantic: Ric Converse defeated Trevor Lee. February 22, 2014 – OMEGA: Trevor Lee defeated Arik Royal in the 1st round. March 1, 2014 – CWF Mid-Atlantic: Chet Sterling and Trevor Lee defeated Charlie Weston and Smith Garrett in the 2nd round. Chet Sterling and Trevor Lee defeated Andrew Everett and Arik Royal in the semi-finals. Aric Andrews and Evan Banks defeated Chet Sterling and Trevor Lee to win the PWI tag team tournament. March 14, 2014 – AIW: Tyson Dux defeated Davey Vega, Shane Hollister and Trevor Lee in a 4-way match. March 16, 2014 – PWX TV: PWX tag team champions Jay Rios and Jay Cruz defeated Andrew Everett and Trevor Lee to retain the titles. March 29, 2014 – CWF Mid-Atlantic: PWI Ultra J No Limits champion Trevor Lee defeated Lance Lude to retain the title. April 18, 2014 – PWX: Trevor Lee defeated Chase Brown. April 19, 2014 – CWF Mid-Atlantic: PWI Ultra J No Limits champion Trevor Lee defeated Charlie Weston to retain the title. April 26, 2014 – OMEGA: Trevor Lee defeated Adam Page. May 2, 2014 – FIP: Trevor Lee defeated Aaron Solo, Blake Edward Belakus, Jason Cade, John Skyler and Tim Donst in a 6-way match to become #1 contender for the FIP world title. FIP world heavyweight champion Trent Berreta defeated Trevor Lee to retain the title. May 3, 2014 – FIP: FIP tag team champions David Starr and JT Dunn defeated Trevor Lee and John Skyler, Tim Donst and Gran Akuma & Aaron Solo and Jason Cade in a 4-way elimination tag team match to retain the titles. May 17, 2014 – CWF Mid-Atlantic: PWI Ultra J No Limits champion Trevor Lee defeated Charlie Weston to retain the title. PWI Ultra J No Limits champion Trevor Lee defeated Justin Duke to retain the title. May 23, 2014 – PWG: Mount Rushmore (Kevin Steen, Matt Jackson and Nick Jackson) defeated Cedric Alexander, Johnny Gargano and Trevor Lee. June 7, 2014 – CWF Mid-Atlantic: Lance Lude defeated Trevor Lee to win the PWI Ultra J No Limits title. June 21, 2014 – NWA Smokey Mountain: Chase Owens defeated Adam Page, Cedric Alexander and Trevor Lee in a 4-way match. June 27, 2014 – CWF Mid-Atlantic: Donnie Dollars defeated Trevor Lee. July 12, 2014 – CWF Mid-Atlantic: Brad Attitude defeated Trevor Lee. July 19, 2014 – CWF Mid-Atlantic: Trevor Lee defeated Rich Swann in the 1st round. Arik Royal defeated Trevor Lee in the quarter-finals. July 26, 2014 – PWG: Trevor Lee defeated Kevin Steen. August 2, 2014 – NWA Mid-Atlantic: The Hurricane defeated Trevor Lee. August 9, 2014 – FIP: Aaron Epic defeated Trevor Lee. August 10, 2014 – EVOLVE 33: Trevor Lee and Zane Riley defeated Aaron Epic and Jason Cade in a dark match. August 23, 2014 – CWF Mid-Atlantic: CWF Mid-Atlantic heavyweight champion Roy Wilkins vs. Trevor Lee ended in a time limit draw to retain the title. August 31, 2014 – PWG: Trevor Lee defeated Michael Elgin the 2nd round. Johnny Gargano defeated Trevor Lee in the semi-finals. September 6, 2014 – CWF Mid-Atlantic: Trevor Lee defeated Donnie Dollars. September 13, 2014 – CWF Mid-Atlantic: CWF Mid-Atlantic heavyweight champion Roy Wilkins defeated Trevor Lee and Arik Royal in a 3-way to retain. September 20, 2014 – OMEGA: Otto Schwantz and Trevor Lee defeated Adam Page and Corey Hollis. The Hardys, Adam Page and Corey Hollis defeated The Bravado Brothers, Otto Schwantz and Trevor Lee. October 3, 2014 – SLA: Arik Cannon defeated Trevor Lee. October 4, 2014 – CWF Mid-Atlantic: CWF Mid-Atlantic TV champion Manny Garcia vs. Trevor Lee ended in a time limit draw to retain the title. Trevor Lee was also in the 30 man royal rumble match won by Lance Lude. October 17, 2014 – PWG: Adam Cole defeated Trevor Lee. October 18, 2014 – CZW: Caleb Konley defeated Trevor Lee. October 25, 2014 – Chikara: Scott Parker and Shane Matthews defeated Trevor Lee and Chet Sterling. November 1, 2014 – CWF Mid-Atlantic: CWF Mid-Atlantic heavyweight champion Roy Wilkins defeated Trevor Lee in a submission or knock out match to retain the title. November 15, 2014 – CWF Mid-Atlantic: Chase Dakota, Chet Sterling, Darius Lockhart, Ethan Sharpe, Jason Miller, Manny Garcia, Nick Richards and Trevor Lee defeated Arik Royal, Chris Lea, Donnie Dollars, Jarel Bernard, Jesse Adler, Josh Adams, Wesley Jennings and Xsiris. Team CWF (Arik Royal, Brad Attitude, Ric Converse, Roy Wilkins and Trevor Lee) defeated Team EPW (Ace Perry, Dale Patricks, Percy Davis, Reed Bentley and Tripp Cassidy) in steel cage match. November 29, 2014 – Beyond Alive & Kicking: The Young Bucks, Brian Cage-Taylor, Chuck Taylor and Trevor Lee defeated David Starr, JT Dunn, Jaka, Dan Barry and Chris Dickinson in a tag team elimination match. November 30, 2014 – PWX: Adam Page and Trevor Lee defeated Elijah Evans IV and Ethan Case. December 6, 2014 – CWF Mid-Atlantic: Chet Sterling and Trevor Lee defeated Jimmy Parker and Mark James. December 20, 2014 – AWE: Trevor Lee defeated Ken Lee. January 10, 2015 – EVOLVE 37: Trevor Lee defeated AR Fox. January 23, 2015 – IWF: The Young Bucks defeated Shane Strickland and Trevor Lee. January 24, 2015 – CWF Mid-Atlantic: CWF Mid-Atlantic tag team champions Trevor Lee and Andrew Everett defeated Nick Richards and Zane Dawson to retain the titles. February 7, 2015 – DREAMWAVE: Shynron defeated Arik Cannon, Trevor Lee and Chris Castro in a 4-way to win the DREAMWAVE Alternative title. February 27, 2015 – PWG: PWG world champion Roderick Strong defeated Trevor Lee to retain the title. February 28, 2015 – OMEGA: Jeff Hardy defeated Caprice Coleman, CW Anderson, Matt Hardy, Tommy Dreamer and Trevor Lee in a 6-way elimination match to win the vacant heavyweight title. March 7, 2015 – Chikara: Chuck Taylor defeated Trevor Lee. March 14, 2015 – CWF Mid-Atlantic: Trevor Lee defeated John Skyler. Zane Dawson defeated Trevor Lee and Arik Royal in a 3-way to win the PWI heavyweight title. March 20, 2015 – ICW: Joey Janela defeated Trevor Lee. March 21, 2015 – CWF Mid-Atlantic: CWF Mid-Atlantic tag team champions Chet Sterling and Trevor Lee defeated Manny Garcia and Ethan Sharpe to retain the tag team titles. Chet Sterling wins the TV title. April 3, 2015 – PWG: Trevor Lee defeated Mike Bailey. April 4, 2015 – CWF Mid-Atlantic: CWF Mid-Atlantic tag team champions Andrew Everett and Trevor Le defeated Aric Andrews and Nick Richards by disqualification to retain the titles. Andrew Everett, Chet Sterling and Trevor Lee defeated The RIOT (Aric Andrews, Lee Valiant and Nick Richards. April 10, 2015 – FBW: Brian Myers defeated Trevor Lee. April 11, 2015 – CZW: Jonathan Gresham defeated Trevor Lee and Tracy Williams in a 3-way 1st round match. April 17, 2015 – AWE: Kyle Mathews defeated Trevor Lee. April 18, 2015 – EVOLVE 42: Davey Richards defeated Trevor Lee. April 24, 2015 – MCW: Shane Strickland defeated Trevor Lee. May 2, 2015 – OMEGA: Trevor Lee defeated CW Anderson and Matt Hardy in a 3-way match to win the vacant OMEGA heavyweight title. May 8, 2015 – FBW: Trevor Lee defeated JT Dunn. May 9, 2015 – CZW: Trevor Lee defeated Andrew Everett. May 17, 2015 – Smash: Trevor Lee defeated Rich Swann in the 1st round. Candice LeRae defeated Biff Busick, Matt Cross, Trevor Lee and Tyson Dux in a 5-way match to win the gold tournament. May 22, 2015 – PWG: Trevor Lee and Andrew Everett defeated Matt Sydal and Mike Bailey in the 1st round. Trevor Lee and Andrew Everett defeated Ricochet and Rich Swann in the semi-finals. Trevor Lee and Andrew Everett defeated Alex Reynolds and John Silver to win the tournament and the tag team titles. May 31, 2015 – EVOLVE 44: Trevor Lee defeated Rich Swann. June 13, 2015 – IWC: Andrew Everett defeated Trevor Lee in the 1st round. June 14, 2015 – PWX: Caleb Konley and Zane Riley defeated Trevor Lee and Andrew Everett. June 26, 2015 – PWG: The Young Bucks defeated Trevor Lee and Andrew Everett to win the tag team titles. June 27, 2015 – ICW: Chris Dickinson defeated Trevor Lee. July 11, 2015 – EVOLVE 46: Trevor Lee defeated Anthony Nese. July 12, 2015 – PWX: PWX tag team champions The Bravado Brothers defeated Trevor Lee and Andrew Everett to retain the titles. July 25, 2015 – CWF Mid-Atlantic: CWF tag team champions Chet Sterling and Trevor Lee defeated Dave and Zane Dawson to retain. Andrew Everett, Brad Attitude, Chet Sterling and Trevor Lee defeated Elijah Evans IV, Ethan Case, Roy Wilkins and The Kamakazi Kid. August 7, 2015 – FIP: FIP heavyweight champion Caleb Konley defeated Trevor Lee to retain the title. August 8, 2015 – CWF Mid-Atlantic: CWF Mid-Atlantic heavyweight champion Brad Attitude defeated Trevor Lee to retain the title. August 15, 2015 – GFW: OMEGA heavyweight champion Trevor Lee defeated Andrew Everett to retain the title. August 16, 2015 – PWX: Andrew Everett and Trevor Lee defeated Adam Page and Corey Hollis. August 22, 2015 – CWF Mid-Atlantic: Trevor Lee defeated Darius Lockhart. August 28, 2015 – PWG: Trevor Lee defeated Trent in the 1st round. August 29, 2015 – PWG: Super Dragon and The Young Bucks defeated Trevor Lee, Andrew Everett and Biff Busick. August 30, 2015 – PWG: Marty Scurll defeated Trevor Lee in the 2nd round. September 2, 2015 – TNA IMPACT: Brian Myers & Trevor Lee defeated the TNA world tag team champions, The Wolves, to take the title. September 5, 2015 – PWX: Trevor Lee defeated Tim Donst in the 1st round. September 6, 2015 – PWX: Ethan Case defeated Trevor Lee in the quarter-finals. September 9, 2015 – TNA IMPACT: The Wolves defeated TNA tag team champions Trevor Lee and Brian Myers to win the title. September 18, 2015 – AAW: Trevor Lee defeated Christian Faith. September 26, 2015 – Beyond Greatest Rivals Round Robin: Andrew Everett and Trevor Lee defeated Bill Carr and Dan Barry. September 27, 2015 – Beyond Powder Keg: Brian Fury defeated Trevor Lee. October 2, 2015 – TNA House Show: TNA tag team champions The Wolves defeated Andrew Everett and Trevor Lee to retain the titles. October 3, 2015 – CWF Mid-Atlantic: CWF Mid-Atlantic tag team champions Chet Sterling and Trevor Lee defeated Elijah Evans IV and Ethan Case to retain. October 4, 2015 – TNA House Show: TNA tag team champions The Wolves defeated Brian Myers and Trevor Lee to retain the titles. October 9, 2015 – AAW: Trevor Lee defeated Silas Young. October 18, 2015 – EVOLVE 50: EVOLVE champion Timothy Thatcher defeated Trevor Lee to retain the title. October 23, 2015 – FCP: Trevor Lee defeated Andrew Everett. October 24, 2015 – SWE: Jim and Lee Hunter defeated Andrew Everett and Trevor Lee. October 25, 2015 – RPW: Marty Scurll defeated Trevor Lee. October 27, 2015 – RPW: Will Ospreay defeated Trevor Lee. October 28, 2015 – SWE: Rob Lynch defeated Trevor Lee. October 31, 2015 – PCW: Bubblegum defeated Trevor Lee. November 1, 2015 – SWE: Trevor Lee defeated Dan Moloney in the quarter-finals. Trevor Lee defeated Damian Dunne in the semi-finals. Pete Dunne defeated Trevor Lee to win the Young Tigers 2015 cup. November 6, 2015 – AAW: Eddie Kingston and Trevor Lee defeat Louis Lyndon and Silas Young in a 4-way elimination match to become #1 contender for the heavyweight title ended in a time limit draw. November 7, 2015 – CWF Mid-Atlantic: Ethan Case and Trevor Lee defeated Ethan Alexander Sharpe and Roy Wilkins. November 20, 2015 – CWF Mid-Atlantic: Chet Sterling, Jesse Adler and Trevor Lee defeated The Coach Gemini’s All Stars (Chappy, Roy Wilkins and The Kamakazi Kid). November 21, 2015 – OMEGA: Matt Hardy defeated Trevor Lee and Ethan Carter III in a 3-way match to win the OMEGA heavyweight title. November 28, 2015 – AAW: Eddie Kingston defeated Trevor Lee and Ethan Case in a 3-way elimination match to win the AAW heavyweight title. December 11, 2015 – PWG: Trevor Lee defeated Will Ospreay. December 12, 2015 – PWG: Trevor Lee defeated Matt Sydal. December 16, 2015 – CWF Mid-Atlantic: Trevor Lee defeated Ethan Alexander Sharpe. Trevor Lee defeated Coach Gemini. January 2, 2016 – PWG: Sami Callihan defeated Trevor Lee. January 8, 2016 – TNA One Night Only – Live: Trevor Lee defeated Pepper Parks. January 15, 2016 – AAW: AAW heavyweight champion Eddie Kingston defeated Pepper Parks to retain the title. January 16, 2016 – KPW: Vinny Marseglia defeated Trevor Lee. February 2, 2016 – TNA IMPACT: Trevor Lee defeated TNA X-Division champion Tigre Uno to win the title. February 5, 2016 – FCP: TNA X-Division champion Trevor Lee defeated Seven to retain the title. February 6, 2016 – Pro Wrestling Chaos: Trevor Lee defeated Mike Bird. February 9, 2016 – TNA IMPACT: TNA X-Division champion Trevor Lee defeated Tigre Uno to retain the title. February 12, 2016 – PWG: Zack Sabre Jr. defeated Trevor Lee. February 19, 2016 – AAW: Trevor Lee defeated Joey Janela. February 23, 2016 – TNA IMPACT – Lockdown: TNA X-Division champion Trevor Lee defeated Tigre Uno in a six side of steel cage match to retain. February 26, 2016 – BTW/OMEGA: TNA X-Division champion Trevor Lee defeated Caleb Konley to retain the title. February 27, 2016 – CWF Mid-Atlantic: Trevor Lee defeated Roy Wilkins in a no time limit, no disqualification, no count-out match to win the heavyweight title. This match lasted for 1 hour and 4 minutes. March 4, 2016 – PWG: Chuck Taylor defeated Trevor Lee. March 5, 2016 – PWG: Trevor Lee defeated Drew Galloway. March 11, 2016 – wXw: Angelico defeated Trevor Lee in the 1st round. March 26, 2016 – CWF Mid-Atlantic: CWF Mid-Atlantic heavyweight champion Trevor Lee defeated Jesse Adler to retain the title. April 2, 2016 – WrestleCon: Jeff Hardy defeated Abyss, Andrew Everett, AR Fox, Pentagon Jr. and Trevor Lee in a 6-way monster’s balls match. April 12, 2016 – TNA IMPACT: DJ Z defeated TNA X-Division champion Trevor Lee in a non-title match. April 16, 2016 – CWF Mid-Atlantic: Chet Sterling, Nick Richards and Trevor Lee defeated Cam Carter, Lance Lude and The Kamakazi Kid. CWF Mid-Atlantic heavyweight champion Trevor Lee defeated Lance Lude to retain the title. April 17, 2016 – PWX: Trevor Lee defeated Joey Janela. April 19, 2016 – TNA IMPACT: TNA X-Division champion Trevor Lee defeated Eddie Edwards and DJ Z in a 3-way match to retain the title. April 30, 2016 – CWF Mid-Atlantic: Trevor Lee defeated Cedric Alexander to retain the heavyweight title. May 14, 2016 – CWF Mid-Atlantic: Arik Royal and Ray Kandrack defeated Chet Sterling and Trevor Lee to retain the tag team titles. May 17, 2016 – TNA IMPACT: DJ Z and Eddie Edwards defeated Andrew Everett and Trevor Lee w Shane Helms. May 20, 2016 – PWG: Trevor Lee defeated Andrew Everett. May 20, 2016 – TNA One Night Only – Victory Road (Taped): Trevor Lee defeated Eddie Edwards. May 24, 2016 – TNA IMPACT: TNA X-Division champion Trevor Lee w Shane Helms defeated Andrew Everett, DJ Z and Eddie Edwards in a 4-way match to retain the title. June 4, 2016 – NEW: Trevor Lee defeated Andrew Everett. June 7, 2016 – TNA IMPACT: TNA X-Division champion Trevor Lee w Shane Helms defeated Eddie Edwards to retain the title. June 10, 2016 – PWR: Rhyno defeated Trevor Lee. June 11, 2016 – EVOLVE 63: Matt Riddle defeated Trevor Lee. June 11, 2016 – TNA Xplosion: Trevor Lee defeated DJ Z.
June 12, 2016 – TNA Slammiversary: Eddie Edwards defeated Trevor Lee w Gregory Helms, Andrew Everett and DJ Z in a 4-way match to win the TNA X-Division title. June 14, 2016 – TNA IMPACT: TNA X Division champion Eddie Edwards defeated Trevor Lee w Gregory Helms to retain the title. June 18, 2016 – CWF Mid-Atlantic: Trevor Lee defeated Andrew Everett to retain the heavyweight title. June 25, 2016 – CWF Mid-Atlantic: Dirty Daddy, Kool Jay, Snooty Foxx & Trevor Lee defeats Chappy, Ethan Alexander Sharpe, Kabuki Ni & Mace Maeda. June 28, 2016 – TNA IMPACT: Braxton Sutter defeated Trevor Lee (w/Gregory Shane Helms), Andrew Everett, DJ Z , Eddie Edwards and Rockstar Spud in a battle royal to become #1 contender for the X Division title. July 5, 2016 – TNA IMPACT: Eddie Edwards defeats Mike Bennett (w/Maria), Mandrews, Trevor Lee (w/Gregory Shane Helms), Andrew Everett, Braxton Sutter, DJ Z and Rockstar Spud in a Ultimate X match to win the TNA X-Division title. July 9, 2016 – CWF Mid-Atlantic: Rob McBride vs. Trevor Lee in the 1st round of the Johnny Weaver Memorial Cup ended in a time limit draw. July 12, 2016 – TNA IMPACT: DJ Z defeated Andrew Everett, Braxton Sutter, Mandrews, Rockstar Spud and Trevor Lee (w/Gregory Shane Helms) in a 6 man ladder match to become #1 contender for the X-Division title. July 22, 2016 – TNA One Night Only – World Cup (Taped): Drew Galloway defeated Trevor Lee. July 29, 2016 – PWG: Jeff Cobb defeated Trevor Lee. August 19, 2016 – AAW: Andrew Everett and Trevor Lee defeated Team Tremendous (Bill Carr and Dan Barry). August 19, 2016 – TNA IMPACT: Brother Nero & Matt Hardy defeated The BroMans (Jessie Godderz & Robbie E) and The Tribunal (Baron Dax & Basile Baraka) and The Helms Dynasty (Andrew Everett & Trevor Lee) in a 4-way tag team ladder match to become #1 contenders for the tag team titles. August 26, 2016 – TNA One Night Only – August (Taped): The Helms Dynasty (Andrew Everett and Trevor Lee) defeated The BroMans (Jessie Godderz and Robbie E) in a tornado tag Ultimate X match. August 27, 2016 – CWF Mid-Atlantic: Trevor Lee defeated John Skyler to retain the CWF Mid-Atlantic heavyweight title. September 3, 2016 – PWG: Trevor Lee defeated Kamaitachi in the 1st round. September 4, 2016 – PWG: Trevor Lee defeated Dalton Castle in the quarter-finals. Trevor Lee defeated Mark Andrews in the semi-finals. Marty Scurll defeated Trevor Lee and Will Ospreay in a 3-way elimination match to win the Battle of Los Angeles. September 10, 2016 – CWF Mid-Atlantic: Trevor Lee defeated Joshua Cutshall to retain the heavyweight title. September 15, 2016 – TNA IMPACT: Aron Rex defeated Trevor Lee in the quarter-finals of the TNA Grand title tournament. September 16, 2016 – TNA One Night Only – September (Taped): Ethan Carter III defeated Trevor Lee. September 17, 2016 – PWX: Trevor Lee defeated Jason Cade and Mason Maddox in a 3-way match to qualify for the X-16 tournament. September 22, 2016 – TNA IMPACT: DJ Z defeated Trevor Lee w Andrew Everett to retain the TNA X-Division title. September 24, 2016 – BTW: The Rock ‘n’ Roll Express (Ricky Morton & Robert Gibson) & Cody Rhodes defeated Harlem Bravado, John Skyler & Trevor Lee. October 1, 2016 – CWF Mid-Atlantic: Trevor Lee defeated Arik Royal to retain the heavyweight title. October 2, 2016 – TNA Bound for Glory: DJ Z defeated Trevor Lee to retain the TNA X-Division title. October 6, 2016 – TNA IMPACT: Braxton Sutter, DJ Z and Mark Andrews defeated Andrew Everett, Trevor Lee and Marshe Rockett. October 15, 2016 – ICW: Homicide defeated Matt Tremont and Trevor Lee in a 3-way match. October 16, 2016 – WC: Jordan Len-X defeated Trevor Lee. October 21, 2016 – HOG: Evander James defeated Trevor Lee. October 22, 2016 – PWX: Trevor Lee defeated Lucha Cruz. October 28, 2016 – PWR: Trevor Lee defeated Darby Allin. November 4, 2016 – TNA One Night Only – November (Taped): Tyrus defeated Trevor Lee. November 5, 2016 – CWF Mid-Atlantic: Andrew Everett, Chet Sterling, Mecha Mercenary and Trevor Lee defeated Otto Schwanz, Roy Wilkins, Vlad Baleshov and Walter Eaton. November 19, 2016 – PWX: Trevor Lee defeated Chip Day in the 1st round. November 20, 2016 – PWX: Anthony Henry defeated Trevor Lee in the quarter-finals. November 26, 2016 – AAW: Andrew Everett and Trevor Lee defeated Davey Vega and Mat Fitchett to win the tag team titles. December 3, 2016 – CWF Mid-Atlantic: Trevor Lee vs. Otto Schwanz ended in a no contest to retain the heavyweight title. December 15, 2016 – TNA IMPACT: The Broken Hardys (Brother Nero & Matt Hardy) defeated The Helms Dynasty (Andrew Everett & Trevor Lee) and The Bravado Brothers (Harlem Bravado & Lancelot Bravado) and The Rock ‘n’ Roll Express (Ricky Morton & Robert Gibson) and Decay (Abyss & Crazzy Steve) and Rockstar Spud & Swoggle and The Death Crew Council (??? & James Storm) and The Bruiserweights (Corey Hollis & John Skyler) and The Ugly Ducklings (Lance Lude & Rob Killjoy) and Aaron Biggs & Mecha Mercenary and Arik Royal & Mike Jordan and Dirty Daddy & Snooty Foxx in a Tag Team Apocalypto to retain the world tag team titles. December 16, 2016 – PWG: Trevor Lee defeated ACH. December 17, 2016 – CWF Mid-Atlantic: Andrew Everett and Trevor Lee defeated Arik Royal and Brad Attitude. December 30, 2016 – CWF Mid-Atlantic: Trevor Lee defeated Brad Attitude to retain the heavyweight title. January 5, 2017 – IMPACT Wrestling: Decay (Abyss and Crazzy Steve) defeated The Helms Dynasty (Andrew Everett and Trevor Lee). January 21, 2017 – RevPro: Trent Seven defeated Trevor Lee. January 26, 2017 – IMPACT Wrestling: DJ Z defeated Trevor Lee (w/Gregory Shane Helms), Andrew Everett, Caleb Konley and Marshe Rockett in a 5-way match to retain the X-Division title. February 2, 2017 – IMPACT Wrestling: Trevor Lee w Gregory Helms defeated DJ Z to win the X-Division title. February 4, 2017 – AAW: ACH defeated Trevor Lee to retain the Heritage title. February 10, 2017 – TNA One Night Only – Joker’s Wild (Taped): Davey Richards and Moose defeated Matt Hardy and Trevor Lee in the 1st round. February 17, 2017 – AAW: Trevor Lee defeated Matt Sydal to retain the AAW tag team titles. February 18, 2017 – PWG: Trevor Lee defeated Cody Rhodes. February 18, 2017 – WC: Jax Dane defeated Trevor Lee. February 23, 2017 – IMPACT Wrestling: Trevor Lee w Gregory Helms defeated DJ Z to retain the X-Division title. February 25, 2017 – CWF Mid-Atlantic: Trevor Lee defeated Aric Andrews, Cain Justice, Chip Day, Otto Schwanz and Smith Garrett in a 6-way match to retain the heavyweight title. March 2, 2017 – IMPACT Wrestling: Trevor Lee w Gregory Helms defeated Andrew Everett to retain the X-Division title. March 10, 2017 – NOVA: Sonjay Dutt defeated Trevor Lee. March 16, 2017 – IMPACT Wrestling: Trevor Lee defeated Andrew Everett, Braxton Sutter and Suicide in a 4-way match to retain the X-Division title. March 17, 2017 – AAW: Rey Fenix defeated Trevor Lee. March 17, 2017 – TNA One Night Only – Rivals (Taped): DJ Z defeated X-Division champion Trevor Lee in a non-title match. March 25, 2017 – CWF Mid-Atlantic: Trevor Lee defeated Chip Day to retain the heavyweight title. March 31, 2017 – WrestleCon SuperShow: ACH, Mascarita Dorada and Michael Elgin defeated Caleb Konley, David Starr and Trevor Lee. April 1, 2017 – PWR: Jason Cade defeated AR Fox, Arik Cannon, Caleb Konley, Davey Vega, Joey Janela, Lio Rush, Serpentico, Trevor Lee, Trey Miguel and Zachary Wentz to win the PWR Scramble title in a AR Fox Invitational Match. April 8, 2017 – AAW: Trevor Lee defeated Chuck Taylor. April 20, 2017 – IMPACT Wrestling: Low Ki defeated Dezmond Xavier, Andrew Everett, Suicide, Sonjay Dutt and Trevor Lee w Shane Helms in a 6-way to win the X-Division title. April 27, 2017 – IMPACT Wrestling: Matt Sydal defeated Trevor Lee. April 29, 2017 – CWF Mid-Atlantic: Trevor Lee defeated Alex Daniels to retain the heavyweight title. May 6, 2017 – AAW: Trevor Lee defeated Bobby Fish. May 13, 2017 – BPW: Cody Rhodes defeated Trevor Lee to retain the BPW title. May 18, 2017 – IMPACT Wrestling: Low Ki defeated Andrew Everett and Trevor Lee in a 3-way Ultimate X match to retain the X-Division title. May 20, 2017 – CWF Mid-Atlantic: Chip Day and Trevor Lee defeated Arik Royal and Roy Wilkins. May 25, 2017 – AAW: Trevor Lee defeated Colt Cabana. June 3, 2017 – MVW: Trevor Lee defeated Michael Elgin to retain the CWF Mid-Atlantic heavyweight title. June 15, 2017 – IMPACT Wrestling: Braxton Sutter defeated Trevor Lee. June 16, 2017 – PWG: Chuck Taylor defeated Trevor Lee. June 17, 2017 – AAW: Penta el 0M defeated Trevor Lee to retain the Heritage title. June 22, 2017 – IMPACT Wrestling: Matt Sydal defeated Braxton Sutter and Davey Richards and Eddie Edwards and Suicide and Trevor Lee in a gauntlet match. June 24, 2017 – CWF Mid-Atlantic: Trevor Lee defeated Nick Richards in a no count-out, no disqualification match to retain the heavyweight title. July 8, 2017 – CZW: Maxwell Jacob Friedman defeated Trevor Lee to retain the Wired title. July 13, 2017 – GFW IMPACT Wrestling: Trevor Lee defeated William Weeks. July 27, 2017 – GFW IMPACT Wrestling: Octagoncito defeated Trevor Lee by count-out. July 29, 2017 – CWF Mid-Atlantic: Trevor Lee defeated Aric Andrews to retain the heavyweight title. August 3, 2017 – GFW IMPACT: The Mumbai Cat (Sonjay Dutt) defeated Trevor Lee. August 4, 2017 – GFW: Sonjay Dutt defeated Trevor Lee to retain the X-Division title. August 5, 2017 – GFW: Trevor Lee defeated Mario Bokara. August 10, 2017 – GFW IMPACT: Lashley, Low Ki and Trevor Lee defeated Alberto El Patron, Matt Sydal and Sonjay Dutt. August 17, 2017 – GFW Destination X: Sonjay Dutt defeated Trevor Lee in a ladder match to retain the X-Division title. August 26, 2017 – CWF Mid-Atlantic: Trevor Lee defeated Mecha Mercenary to retain the heavyweight title. August 31, 2017 – AAW: Keith Lee defeaetd AR Fox and Trevor Lee in a 3-way match. August 31, 2017 – GFW IMPACT: Petey Williams defeated Caleb Konley w Trevor Lee. September 2, 2017 – PWG: Donovan Dijak defeated Trevor Lee in the 1st round. September 7, 2017 – GFW IMPACT: Petey Williams and Sonjay Dutt defeated Caleb Konley and Trevor Lee. September 9, 2017 – CWF Mid-Atlantic: Trevor Lee defeated Arik Royal to retain the heavyweight title. September 14, 2017 – GFW IMPACT: Trevor Lee defeated Sonjay Dutt in a no disqualification match to win the GFW X-Division title. September 16, 2017 – MVW: Trevor Lee defeated Abyss in a monsters balls match to retain the CWF Mid-Atlantic heavyweight title. September 23, 2017 – CWF Mid-Atlantic: Trevor Lee defeated Ethan Alexander Sharpe to retain the heavyweight title. September 28, 2017 – GFW IMPACT – Victory Road: Trevor Lee defeated Petey Williams to retain the X-Division title. September 30, 2017 – CWF Mid-Atlantic: Ric Converse and Trevor Lee defeated Aric Andrews and Lee Valiant. October 5, 2017 – GFW IMPACT: Matt Sydal, Petey Williams and Sonjay Dutt defeated Andrew Everett, Caleb Konley and Trevor Lee. October 5, 2017 – The Crash: Trevor Lee defeated Daga by disqualification to retain the X-Division title. Trevor Lee defeated Ultimo Ninja to retain the X-Division title. October 13, 2017 – AAW: Rey Fenix defeated Trevor Lee to retain the heavyweight title. October 14, 2017 – CWF Mid-Atlantic: Trevor Lee successfully defended his heavyweight title in a 30 man rumble match. October 20, 2017 – PWG: Joey Janela defeated Trevor Lee. October 21, 2017 – IWR: Malico defeated DJ Z, Fuego Del Sol and Trevor Lee in a 4-way match. October 28, 2017 – CWF Mid-Atlantic: Trevor Lee defeated Ethan Sharpe to retain the heavyweight title. November 3, 2017 – AAW: Trevor Lee defeated Eddie Kingston. November 5, 2017 – IMPACT Wrestling: Trevor Lee defeated Dezmond Xavier, Garza Jr., Matt Sydal, Petey Williams and Sonjay Dutt in a 6-way match to retain the X-Division title. November 12, 2017 – BCW: Trevor Lee defeated White Mike. November 25, 2017 – AAW: AR Fox and Eddie Kingston defeated WRSTLING (David Starr and Trevor Lee). December 2, 2017 – AAW: WRSTLING (David Starr and Trevor Lee) defeated Jimmy Jacobs and The Hurricane. December 30, 2017 – CWF Mid-Atlantic: Trevor Lee defeated Roy Wilkins in a I Quit match to retain the heavyweight title. January 4, 2018 – IMPACT Wrestling: Taiji Ishimori defeated Trevor Lee w Caleb Konley to win the X-Division title. January 20, 2018 – AAW: WRSLTING (David Starr, Jeff Cobb and Trevor Lee) defeated The Killer Cult (Dave Crist, Jake Crist and Sami Callihan). February 3, 2018 – AAW: Trevor Lee defeated Shane Strickland. February 8, 2018 – IMPACT Wrestling – One Night Only – Canadian Clash (Taped): Latin American Exchange (Ortiz and Santana) defeated Caleb Konley and Trevor Lee. February 8, 2018 – IMPACT Wrestling: The Cult Of Lee (Caleb Konley and Trevor Lee) defeated TECH (Mike Monroe and TC Read). February 16, 2018 – The Wrestling Revolver Friday The 16th Naito Takes Dayton: Shane Strickland defeated Trevor Lee. February 17, 2018 – AAW: Trevor Lee defeated DJ Z to win the Heritage title. February 22, 2018 – IMPACT Wrestling: The Cult Of Lee (Caleb Konley and Trevor Lee) defeated World tag team champions Latin American Exchange (Ortiz and Santana) in a non-title match. February 24, 2018 – CWF Mid-Atlantic: Trevor Lee defeated Roy Wilkins in a no ropes match to retain the heavyweight title. March 9, 2018 – IMPACT Wrestling – Last Chancery (Taped): Trevor Lee defeated Josh Alexander. March 10, 2018 – CWF Mid-Atlantic: Trevor Lee defeated Donnie Dollars to retain the heavyweight title. March 16, 2018 – BCW/Impact Wrestling One Night Only: March Breakdown (Taped): Matt Sydal defeated Petey Williams and Trevor Lee in a 3-way match to retain the X-Division title. March 16, 2018 – AAW: ACH and Jushin Thunder Liger defeated WRSTLING (David Starr and Trevor Lee). March 17, 2018 – CWF Mid-Atlantic: Trevor Lee defeated John Skyler to retain the heavyweight title. March 22, 2018 – IMPACT Wrestling: Trevor Lee w Caleb Konley defeated Fallah Bahh. March 23, 2018 – BTW/IMPACT Wrestling: James Ellsworth defeated Trevor Lee. April 6, 2018 – Impact Wrestling/Lucha Underground: Trevor Lee defeated Marty Martinez w Famous B.
April 7, 2018 – AAW/FCP/REVOLVER: ACH defeated Trevor Lee to retain the AAW heavyweight title. April 12, 2018 – IMPACT Wrestling: Fallah Bahh, Richard Justice and Tyrus defeated The Cult Of Lee (Caleb Konley & Trevor Lee) and KM. April 14, 2018 – CWF Mid-Atlantic: Chet Sterling and Trevor Lee defeated Los Chicanos (Jeff Castro and Jon Castro) in the semi-finals. Chet Sterling and Trevor Lee defeated The Carnies (Kerry Awful and Nick Iggy) in the semi-finals. April 20, 2018 – PWG: Rey Horus defeated Trevor Lee. April 21, 2018 – PWG: Trevor Lee defeated Morgan Webster. April 26, 2018 – IMPACT Wrestling: Brian Cage defeated Trevor Lee w Caleb Konley. May 5, 2018 – AAW: Trevor Lee defeated PACO to retain the Heritage title. May 11, 2018 – BTW/Impact Wrestling One Night Only: Cali Combat (Taped): Trevor Lee defeated Kimo. May 12, 2018 – CWF Mid-Atlantic: Dave Dawson and Zane Dawson defeated Los Chicanos (Jeff Castro and Jon Castro), Redemption (Michael McAllister and Nick Richards) & Chet Sterling and Trevor Lee in a 4-way tag team match to retain the tag titles. May 19, 2018 – CWF Mid-Atlantic: Trevor Lee defeated Ethan Alexander Sharpe to retain the heavyweight title. May 24, 2018 – IMPACT Wrestling: The Cult Of Lee (Caleb Konley and Trevor Lee) defeated Latin American Exchange (Ortiz and Santana). June 3, 2018 – Impact Wrestling One Night Only: Zero Fear (Taped): Eddie Edwards defeated Trevor Lee. June 7, 2018 – IMPACT Wrestling: Latin American Exchange (Ortiz and Santana) defeated The Cult Of Lee (Caleb Konley and Trevor Lee). June 9, 2018 – CWF Mid-Atlantic: Michael McAllister & Nick Richards defeated Aric Andrews (c) [Television] & Trevor Lee (c) [Heavyweight] and Cam Carter (c) [Ultra J] & Ric Converse (c) [International Heavyweight] and Dave Dawson & Zane Dawson (c) [Tag Team] in a 4-way tag team match. Trevor Lee retains the heavyweight title in this match while other titles changed hands. June 14, 2018 – IMPACT Wrestling: The Cult Of Lee (Caleb Konley and Trevor Lee) defeated Fallah Bahh and KM. June 23, 2018 – AAW: Trevor Lee defeated Trey Miguel to retain the Heritage title. June 28, 2018 – IMPACT Wrestling: Rich Swann defeated Trevor Lee. June 30, 2018 – CWF Mid-Atlantic: Trevor Lee defeated Aric Andrews to retain the heavyweight title and winning the television title. July 13, 2018 – PWG: Rey Fenix defeated Trevor Lee. July 14, 2018 – CWF Mid-Atlantic: Trevor Lee defeated Aric Andrews to retain the heavyweight and television title. July 21, 2018 – AAW: WRSTLING (David Starr, Eddie Kingston and Trevor Lee) defeated ACH & The Besties In The World (Davey Vega and Mat Fitchett). July 28, 2018 – CWF Mid-Atlantic: Trevor Lee defeated Mace Li to retain the television title. August 2, 2018 – IMPACT Wrestling: Eli Drake and Trevor Lee w Caleb Konley defeated Grado and Joe Hendry w Katarina. August 11, 2018 – CWF Mid-Atlantic: Chet Sterling and Trevor Lee defeated The All-Stars (Arik Royal, Mace Li and Roy Wilkins) in a handicap match. August 16, 2018 – IMPACT Wrestling: Eli Drake w Trevor Lee & Caleb Konley defeated Joe Hendry w Grado & Katarina Leigh. August 19, 2018 – Impact Wrestling/NGW: Trevor Lee defeated Myron Reed. August 23, 2018 – IMPACT Wrestling: Brandon Tidwell and Mr. Atlantis defeated The Cult Of Lee (Caleb Konley and Trevor Lee) w Eli Drake. August 25, 2018 – CWF Mid-Atlantic: Trevor Lee defeated Chet Sterling to retain the heavyweight title. August 30, 2018 – AAW: Trevor Lee defeated Ace Romero to retain the Heritage title. September 3, 2018 – HOH 50: Trevor Lee defeated John Skyler. September 9, 2018 – Impact Wrestling Impact Wrestling Vs. The UK: Rich Swann defeated Matt Sydal and Trevor Lee in a 3-way match. September 13, 2018 – IMPACT Wrestling: Pentagon Jr. and Fenix defeated Caleb Konley and Trevor Lee. September 15, 2018 – PWG: Trevor Lee defeated Marko Stunt in the 1st round. September 16, 2018 – PWG: Trevor Lee defeated Brody King in the 2nd round. Jeff Cobb defeated Trevor Lee in the semi-finals of the Battle Of Los Angeles. September 22, 2018 – CWF Mid-Atlantic: Trevor Lee defeated Joshua Cutshall to retain the CWF Mid-Atlantic Heavyweight Title / CWF Mid-Atlantic Television Title. September 28, 2018 – AAW: Rich Swann defeated Trevor Lee in the 1st round. October 12, 2018 – AAW: Trevor Lee defeated Rich Swann to retain the Heritage title. October 15, 2018 – IMPACT Wrestling: Ethan Page w Matt Sydal defeated Trevor Lee. October 20, 2018 – CWF Mid-Atlantic: Trevor Lee vs. Steven Idol ended in a time limit draw. Lee retains the Television title. Trevor Lee defeated Steven Idol to retain the heavyweight title. October 25, 2018 – IMPACT Wrestling: Sami Callihan w Dave & Jake Crist defeated Trevor Lee. October 26, 2018 – AAW: WRSTLING (Jeff Cobb and Trevor Lee) defeated DJ Z and Trey Miguel.